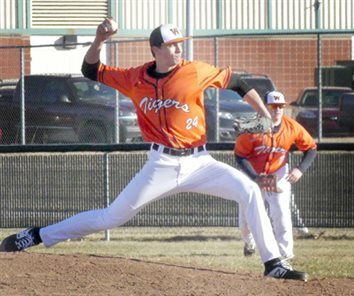 Warsaw Community High School alums Paul Marandet and Kyle Mangas were each named First Team NAIA All-Americans Friday. SIOUX FALLS, S.D. 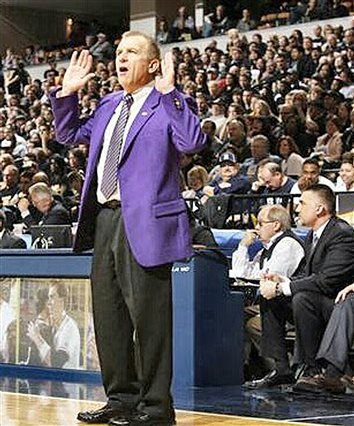 – The Crossroads League is once again the king of the NAIA Division II men’s basketball world. 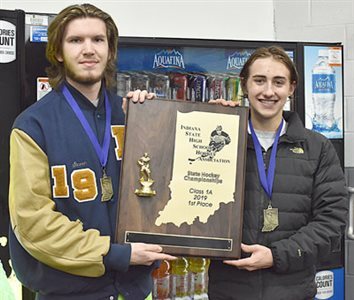 A pair for Warsaw Community High School seniors helped the Fort Wayne Bishop Dwenger Saints beat Westfield 2-0 Saturday to win the ISHSHA 1A hockey state championship. SIOUX FALLS, S.D. 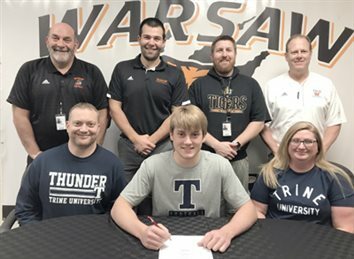 – One former Warsaw Community High School boys basketball standout put his college team in the semifinals of the NAIA Division II National Tournament, while another’s season ended Saturday in the quarterfinals. 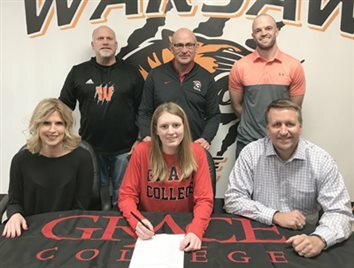 A pair of former Warsaw Community High School boys basketball standouts have led their college teams to the quarterfinals of the NAIA Division II Men’s National Tournament, while a former Lady Tiger star saw her collegiate season end Friday. 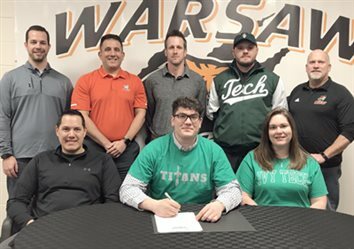 Warsaw Community High School Avery Remocaldo to attend Ivy Tech in Fort Wayne and play baseball for the Titans. 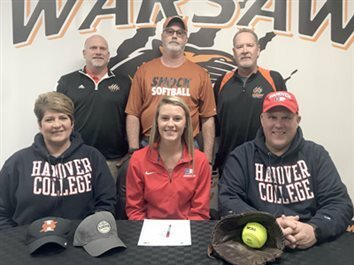 Warsaw Community High School multi-sport standout Courtney Chookie has announced her intention to attend and play softball for Hanover College. 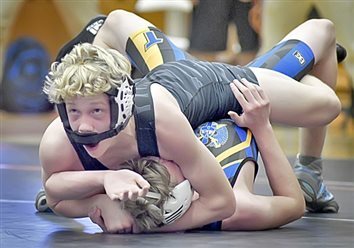 ELKHART – The shots just wouldn’t fall Saturday. 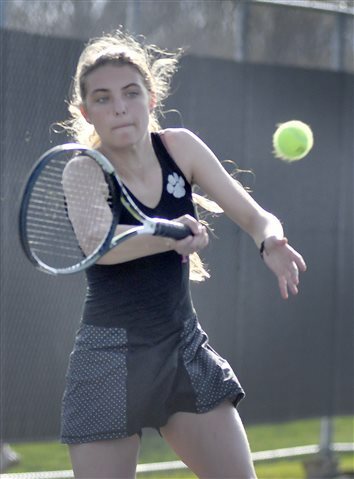 ELKHART – Survive and advance is the popular saying in postseason play. 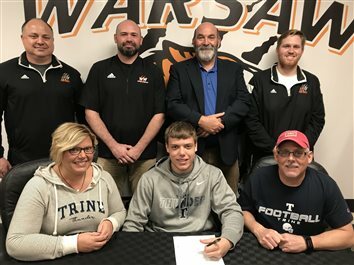 Warsaw Community High School multi-sport standout Matt Shoemaker has announced his intentions to attend Trine University and play football for the Thunder. 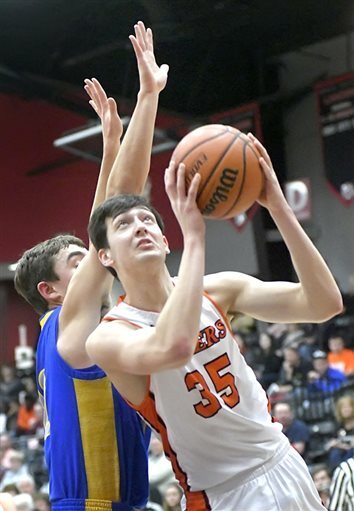 ELKHART – Jaylen Reese, said Warsaw boys basketball coach Doug Ogle, played like a senior who doesn’t want to lose. Nolan Groninger faced pretty tough competition as a kid growing up in Warsaw. 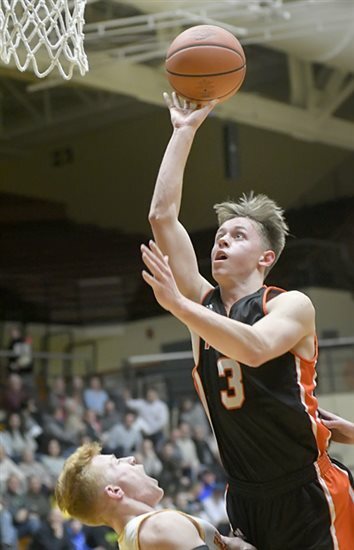 Even before the IHSAA announced the sectional draw, Warsaw boys basketball coach Doug Ogle believed the road to the Class 4A Sectional 4 championship at historic North Side Gym would go through Elkhart Memorial. 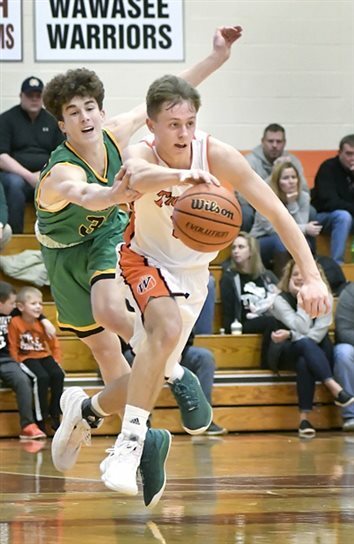 On Warsaw’s senior night, it was a senior from Carroll High School that led his team to victory in Friday’s boys basketball regular season finale. 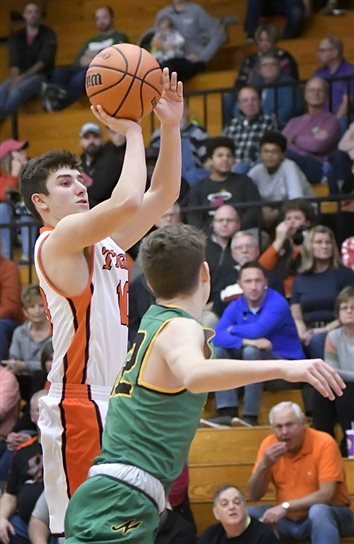 After shooting 27 percent from the three-point arc in Elkhart Memorial’s first 20 games, 6-foot junior Brackton Miller found his touch Tuesday night against the Warsaw Tigers. CARMEL – For the second time in as many games, Warsaw’s varsity boys basketball team saw its opponent go on an impressive first-half run. 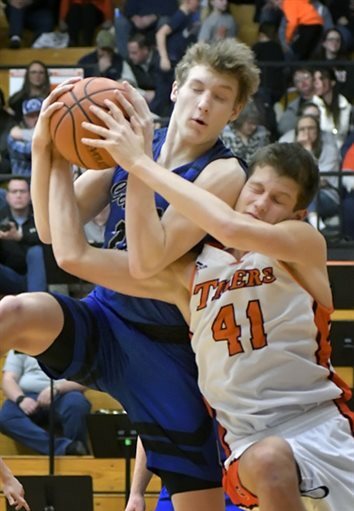 The Tigers weren't able to overcome it this time, however, as their seven-game win streak ended in a 54-35 loss at Class 4A No. 2 Carmel Saturday night. Over the course of 28 years of broadcasting in Warsaw, I have had the chance to do so many cool things. It would be bragging or name dropping to run through the list of things I have been blessed to be able to do and people I have had the pleasure of meeting along the improbable journey of this stuttering slobber box. I love a good rivalry. 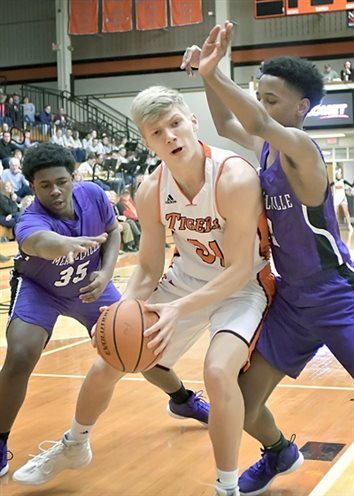 Losing to Merrillville Saturday afternoon, said Warsaw boys basketball coach Doug Ogle, would have been a hard pill to swallow. 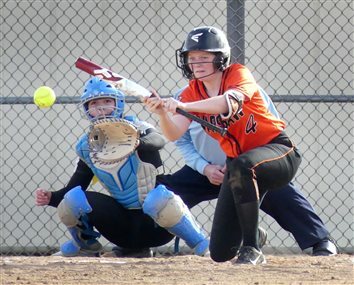 PLYMOUTH – A game of runs favored the Warsaw Tigers Friday night. 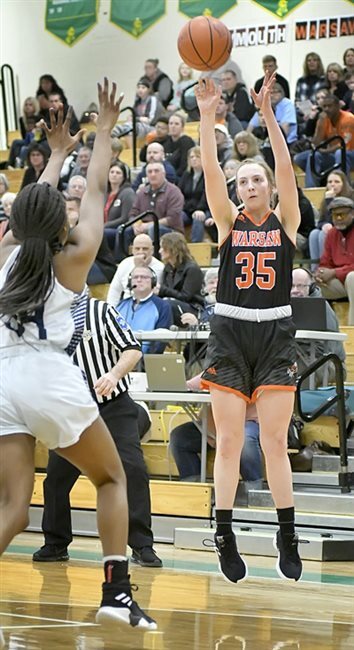 MIDDLEBURY – The Warsaw girls basketball team was so close Saturday. 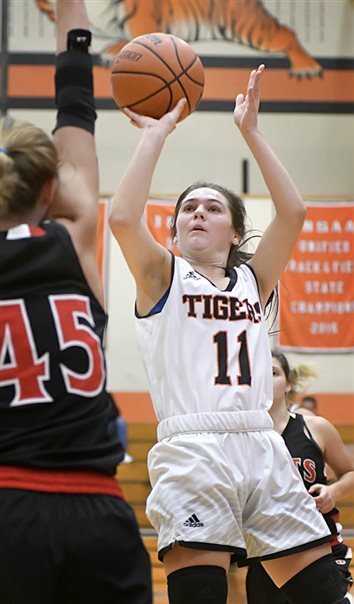 MIDDLEBURY – The cold weather limited the Warsaw girls basketball team’s practice time this week, but it didn’t keep the Lady Tigers from showcasing stellar defense Friday. 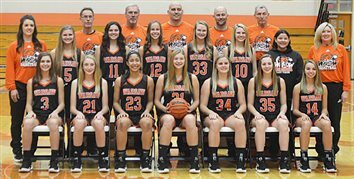 The Warsaw Lady Tigers are primed to stand tall in Class 4A Sectional 4 at Northridge High School. 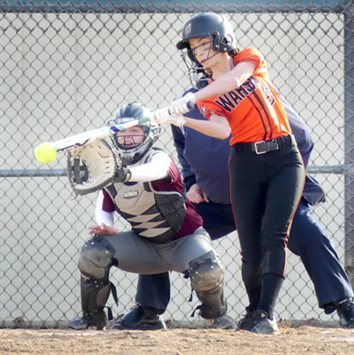 The fourth time was a charm for the Warsaw Lady Tigers. 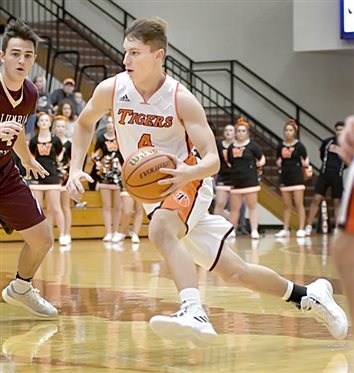 ELKHART – The Warsaw Tigers were strong in overtime Saturday. 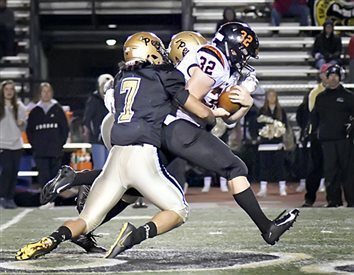 A game of runs favored Warsaw Friday. 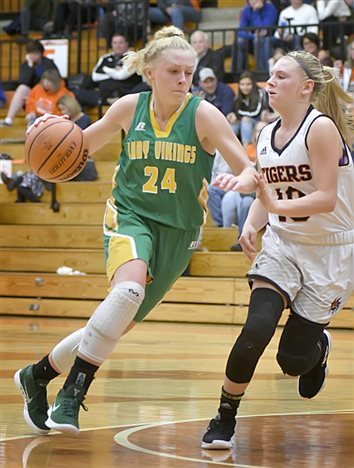 NAPPANEE – Thursday night’s Northern Lakes Conference girls basketball game between Warsaw and NorthWood was a tale of two halves. 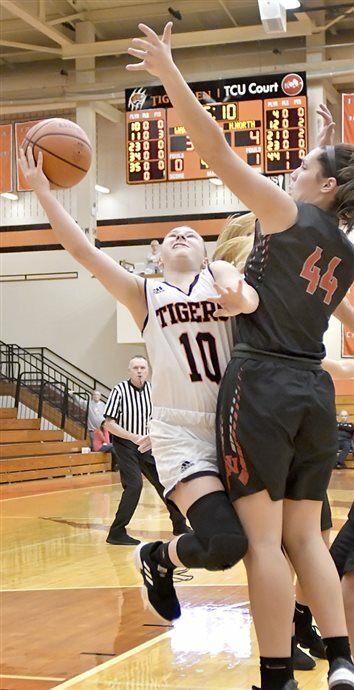 The visiting Lady Tigers used a dominant second quarter to lead 25-16 at halftime, but the Lady Panthers responded with an even bigger third quarter en route to a 46-42 win at The Pit. 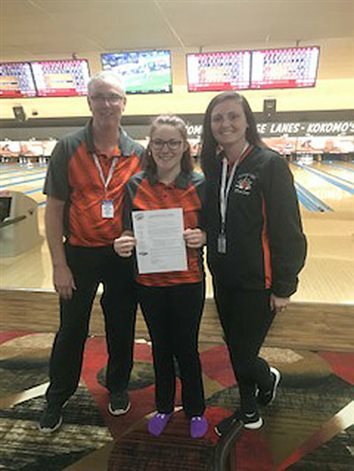 Members of the Warsaw boys and girls bowling team have advanced to this weekend’s semistate. 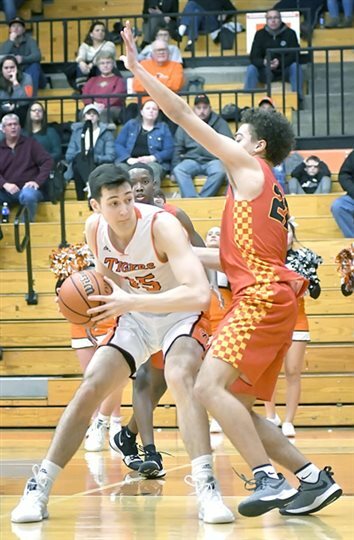 Hours before a winter storm was predicted to hit northern Indiana, things snowballed in the Tiger Den Friday night. GOSHEN – The Goshen RedHawks got off to a great start Friday night. 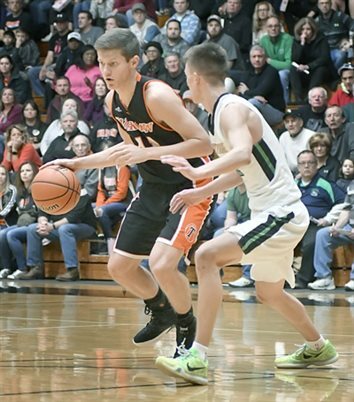 The Warsaw Tigers, however, had an even better finish and cruised to a 22-point win. MIDDLEBURY – And then there was one. 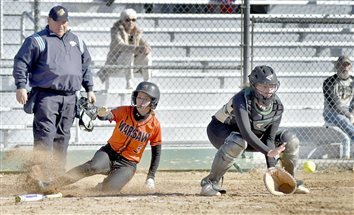 The Warsaw Lady Tigers’ win streak ended at eight games Saturday, but not without a valiant comeback. 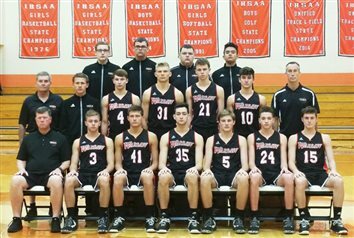 WINONA LAKE – Because the shots didn’t fall Saturday, the Warsaw Tigers did. I would like to say thank you to Twitter for helping me decide what to write about this week. 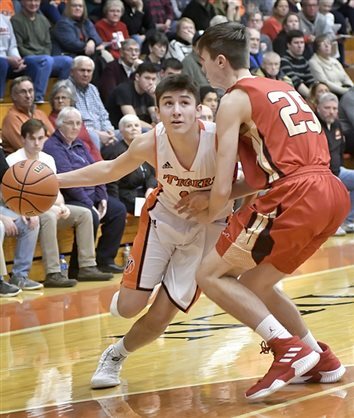 In more ways than one, Saturday night’s JV game between the Warsaw Tigers and visiting Westview Warriors served as a warmup for the varsity contest. 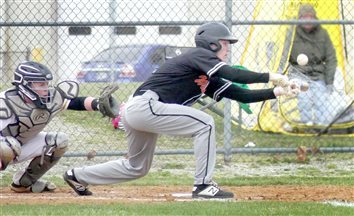 SOUTH WHITLEY – Warsaw’s Trevor Rumple came through when it mattered Wednesday. Warsaw senior guard Trevor Rumple committed to play basketball at and attend Olivet Nazarene University. Sometimes, when you are in the media, you will find yourself in an impossible position. That position is one that could put your positive position in the community at risk. CROWN POINT – There are times for a basketball team when shots just don't fall. Warsaw was stellar across the board Tuesday. As Brielle Harrison held the ball and let the final seconds tick off the clock of Warsaw’s 13-point win over Columbia City Tuesday night, my brain threw up a picture of the Lady Tigers’ short-term schedule. Unhappy with his team’s intensity in practice the day before, Warsaw girls basketball coach Lenny Krebs said he was concerned about Saturday night’s Northern Lakes Conference opener with Plymouth. 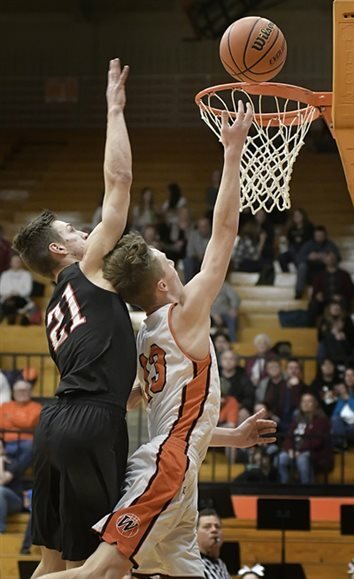 To say that Wyatt Amiss has been shooting the ball well, said Warsaw boys basketball coach Doug Ogle, would be an understatement. 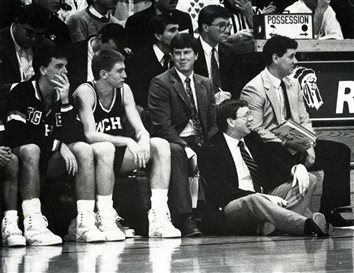 Al Rhodes left the Warsaw boys basketball program after the 2001-02 season. 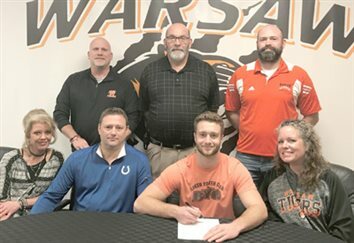 Warsaw Community High School senior swimmer Dineli Presteguin to attend and swim at Bethel College in the Pilots' first-ever swim season next year. Doug Ogle’s entire reason for coming to Warsaw was Al Rhodes. Al Rhodes knew he had big shoes to fill in replacing Jim Miller as the Warsaw boys head basketball coach. HUNTINGTON – Sometimes, the shots just don’t fall. 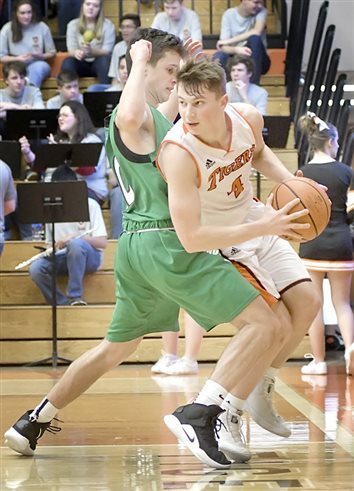 FORT WAYNE – Inconsistency doomed the Warsaw Tigers Friday. 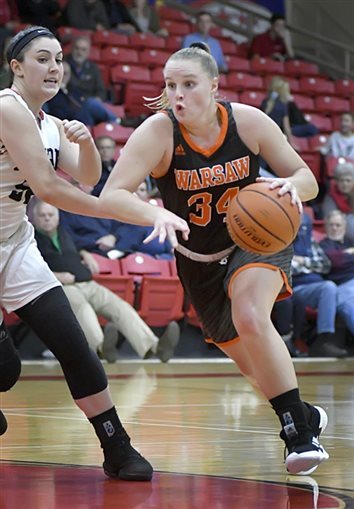 Warsaw girls basketball coach Lenny Krebs said he felt like Maddie Ryman was due for a big game. 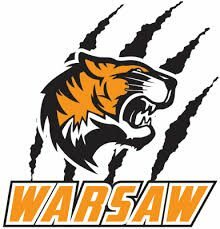 Warsaw won the most battles to take victory in the war Tuesday. Ever since I got here, I’ve been hearing about the legendary Tiger Den. A big third quarter made the difference Saturday. 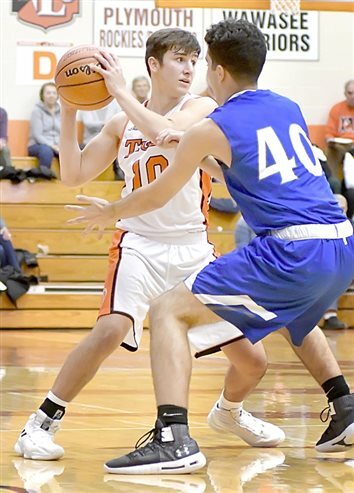 With four starters back, and five of their top six players from last season, the Warsaw Tigers appear primed to make a run at a fifth consecutive Northern Lakes Conference championship. 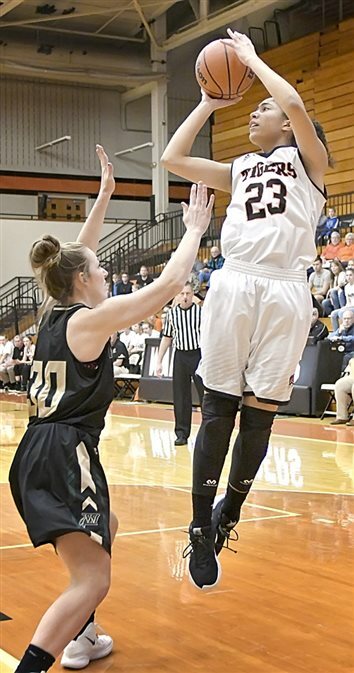 Lenny Krebs admits his first season with the Warsaw Lady Tigers was a bit of a blur. As Yogi Berra would say, it's deja vu all over again. TERRE HAUTE – The Warsaw girls cross country team braved the mud and nearly reached its goal Saturday at the state championship meet at the Lavern Gibson Championship?Cross Country Course. MISHAWAKA – Missed chances meant the end for Warsaw Friday. 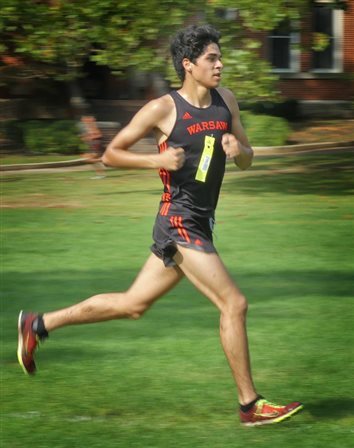 There was a time when Zeb Hernandez thought he’d never race again. I am sitting here staring at my scorecards as I prepare for Friday night’s Warsaw-Penn football broadcast. Listen up, Lady Tigers: hold your heads high. NEW CARLISLE – A suspension cut Zeb Hernandez’s season short last year.